The World Cup is just three days away and while the build up has been witnessed in some unusual places around the globe. Hosts Brazil and Croatia will get the tournament underway after the opening ceremony at 9pm Irish time on Thursday night, and proof of the global game is clearly evident in some wacky and unusual pictures taken recently. 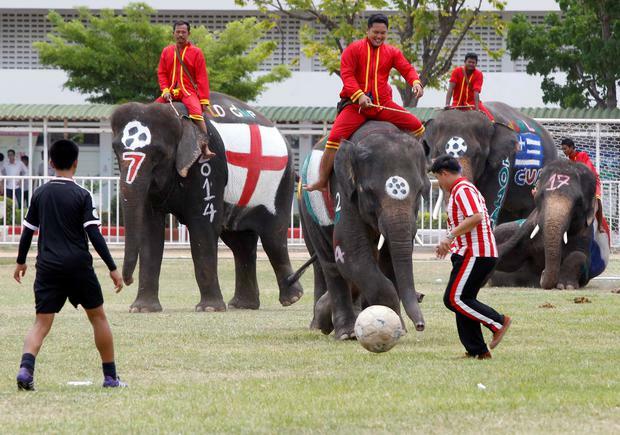 From elephants playing football in Thailand with school children, to a diver showing his skills underwater in South Korea surrounded by sardines, the lead up to the biggest sporting event is as frenzied as ever before. By Nick Purewal, Press Association Sport Unai Emery insists he can keep rotating to “protect” his players and seal a top-four Premier League finish.